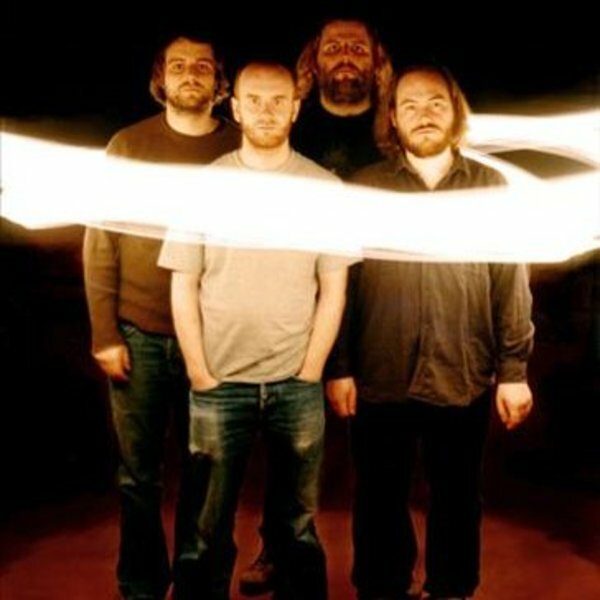 Aereogramme were a Scottish alternative/post-rock rock band from Glasgow, consisting of Craig B. (vocals, guitar), Iain Cook (guitar, programming), Campbell McNeil (bass) and Martin Scott (drums). Formed in April 1998, the band released two 7″ singles in 1999 before signing the following year to Chemikal Underground on which they released two EPs and two LPs over a three-year period before a short-lived move to Undergroove Records in 2003 for whom they released their third LP. “ It is with heavy hearts that we tell you all that Aereogramme have decided to split up. Reasons are multiple and complex. It is however fair to say that the never-ending financial struggle coupled with an almost superhuman ability to dodge the zeitgeist have taken their toll, ensuring that we just don’t have any fight left in us. The band then saw out various contractual obligations on the gigging front and played their last ever show at the Connect Festival in the Highland town of Inverary on 31 August 2007. Iain Cook and Craig B. have since formed another successful and highly regarded band, The Unwinding Hours with two critically acclaimed albums released by Chem in 2010 and 2012 but more recently Cook has found more fame and a little fortune as a member of Chvrches. As for the other two past members of Aereogramme, Martin Scott is the tour manager for Biffy Clyro while Campbell McNeil works in the same capacity with Chvrches. I was very late in discovering Aereogramme with my first exposure coming via a Chemikal Underground compilation LP around the time of their final material. The single is a complete re-working of Lullaby For Unborn Child from the How To Get To Heaven From Scotland album and features the Mansionhouse Ensemble (which is basically Alun Woodward aka Lord Cut Glass and ex-member of The Delgados). The cover of this limited 7″ (500 copies all told) features an image courtesy of Leonardo Da Vinci while the back of the sleeve has a photo of Aidan in shock on the floor of the delivery room during the birth of his son. The B-Side is again a bit different – a childrens’ story. Aloha Hawaii is the result of at least a decade of (often drunken) planning that has finally come to some form of fruition: to record any kind of sounds that please our four ears whenever we have the time, inspiration and enthusiasm. There is no game-plan, no style, no genre; anything that makes us smile will make it onto our records, which will take the form of sporadic, vinyl-only singles to be released on any record label willing to accommodate us over the next year or two. The first label to support our efforts will be our good friends, Chemikal Underground, who release the 10″ single Towns On The Moon b/w I’ve Been Bad For Years And Years on September 8th 2008. These five are a bit of a mixed bag and are meant to reflect the series’ aim to have lesser known stuff posted. I will say however, that if you’re not familiar with it, I recommend you give the Aereogramme single a listen as it’s an absolute belter.